Have you ever seen your little yellow engine symbol light up? Or, it may say “Service Engine Soon”. Since the 1980s, auto-makers have been installing computers into vehicles to help improve safety and fuel economy. Even the crudest on-board computer was more sophisticated than the computers used on the Apollo rockets that took us to the moon and back. Fast-forward to the modern car or truck today and you’d be astonished to learn some vehicles have as many as 100 computers (modules, microprocessor-controlled devices, electronic control units, etc.) which manage practically every system on your vehicle. These computers have provided improved fuel economy and safety over the years. Cars and trucks have increased horse-power without sacrificing fuel economy. They also have much improved safety features that are combatting distracted driving, inclement weather and other hazards on our highways and byways. What do you “do” when you see your light or message come on? There are literally hundreds of reasons why the light can come on due to the multitude of systems being monitored. In other words, we like to say, “you have only one check engine light but there are hundreds of reasons why the “check engine” light may come on”. 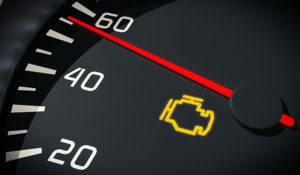 We often see these lights on during routine maintenance such as oil changes, yet the vehicle drivers seldom mention this. Why? The most obvious reason is because the car seems to be “running fine” so most take the wait and see approach as to when they will notice a decline in performance. Your car or truck may not be exhibiting “symptoms” at this time because the on-board system of all of these computers are always making adjustments and compensating for operation deficiencies so the driver may not “feel” or perceive an issue until something stops working or breaks. 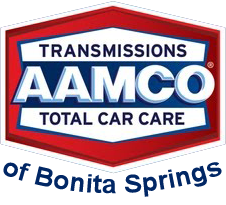 The most common deficiency is loss of fuel economy. The second most common deficiency is the loss of safety. When your light comes on it is very important to inform your service facility so they can prepare to utilize their computer equipment to communicate with your car to learn which system/s are affected. One word of caution; it is not recommended to have local parts retailers retrieve information from your vehicle (even if it’s free) because their equipment is not as sophisticated and thorough as most service facilities’ and their staff is not properly experienced nor trained to advise accordingly. When the light comes on, this means your car has already monitored the issue long enough to believe it is important enough to illuminate the light or message display center. Most issues are not serious but other issues are. You will not know until you have your system analyzed by a properly skilled technician. Additionally, the coded information retrieved does not spell out the specific repair needed in many cases. There may be required “diagnostics” needed to prove out what’s good and bad along the diagnostic trail to lead to the proper component to repair or replace. Lastly, since you have only one light and literally hundreds of things that can make it light up – if you let it stay illuminated for a “minor” concern then you will never know when a “major” concern may come in since you’re driving around with that thing lit up all day long. Oh, one last thing; we have even seen cars and trucks roll into AAMCO of Bonita Springs with black electrical type covering up these lights and other warning lights. Obviously, this doesn’t fix anything, and it just makes it more difficult and more expensive to sort through the compounding issues that often leads to multiple failures which then leads to higher repair costs and increased levels of frustration. Remember, your service adviser will help you sort through what needs to be done to help you get you car or truck back on the road as soon as possible.